ECCO Touren, Tinderbox and The Agger Foundation join forces again and repeat last year’s success from Langesø. In September 2018, the golf tournament, Tinderbox Charity Challenge supported by The Agger Foundation at Odense Eventyr Golf from 12th to 15th September. The annual auction dinner will be held at the Odense Congress Center, where Carsten Bang and Uffe Holm and the musicians Claus & Morten will host the entertainment. 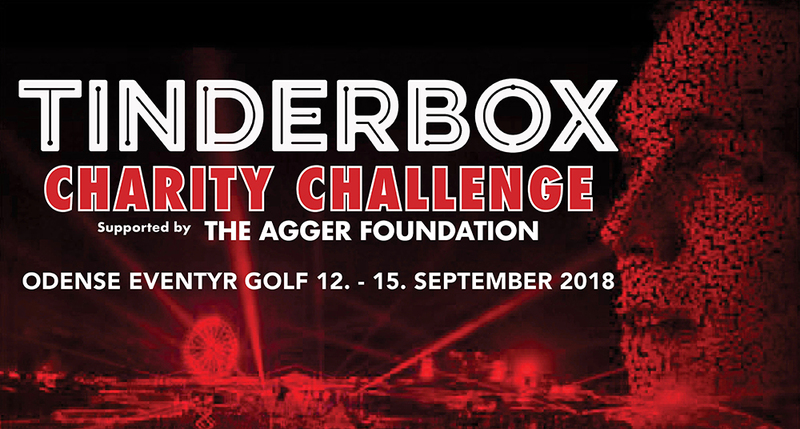 Tinderbox Charity Challenge supported by The Agger Foundation is being held as a charity tournament. The collected amount is divided between 50/50 between Save the Children’s work on Fyn and the professional prize sum. The money from this auction goes to both Save the Children and to the development of Danish golf talents on the ECCO Tour. Now you can purchase Pro-Am teams and individual Pro-Am seats at this year’s funniest and most Rock’n Roll ECCO Tour Pro-Am, the Tinderbox Charity Challenge by the Agger Foundation. See http://eccotour.org for more info.